When Angelina Jolie was in London for the premiere of Maleficent, I had a chance to speak to her about Maleficent, her family, her new movie By The Sea with Brad Pitt and further cancer prevention surgery. William King (WK): So many actresses have played wicked queens in the last couple of years, why did you decide to join their camp? Angelina Jolie (AJ): Well I don’t think that Maleficent is actually the same as the others. WK: Tell me how she’s different. WK: I thought that Maleficent changes a lot throughout the film. AJ: It’s been great since forever to play the wicked characters who tend to have a lot of fun. 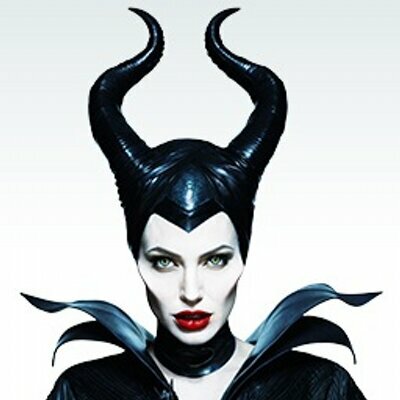 But I like Maleficent because she is complicated. 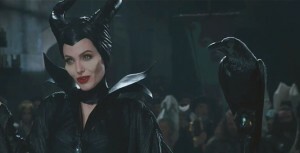 She wasn’t always evil and this film is intentionally going into understanding why someone becomes evil and what that is. It’s in human nature. At the same time we, filmmakers, don’t take ourselves seriously and its good fun and we are having a good time. We are just trying to be as entertaining as possible. WK: How did it feel being an executive producer on a film of such scale? AJ: I didn’t really produce that much… They had me as an executive producer, because by nature I tend to end up doing a lot more work than just acting. Normally I only produce the films I direct. AJ: Yes, I’ve written something. Haven’t decided to do it yet. We are thinking. WK: Is it going to be a sequel to Mr. & Mrs. Smith? AJ: No, It’s a little experimental type of film. 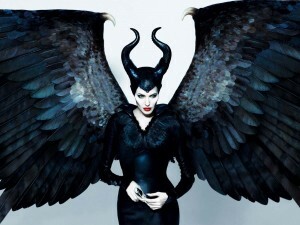 WK: All the flying sequences in Maleficent look amazing, very much Avatar-like. How did you go about shooting those? AJ: It was a lot of fun. I was attached to that thing which was like a gyroscope, so I could actually move freely in any direction if I wanted to and I had control of how I could fly. WK: Did your children see you doing that? AJ: I put them on the rig, so they did it too! WK: Who was brave enough to go on it? AJ: Shilo and Pack, they are the most adventurous. Shilo is the crazy one. The girl is into skating right now, so things are getting serious [laughs]. She is a daredevil! WK: Your daughter Vivienne played a young princess in Maleficent. Do you think in the future you’d be a famous mother and daughter duo, like Judy Garland and Liza Minnelli? AJ: I adore them, but don’t think so. We don’t want Vivienne to be an actress, we just put her in the film because she was the only little kid who wasn’t afraid of me. [In the film] I was 7 and a half feet tall with my horns and my eyes and my pointy ears, and [other] children were actually afraid of me. We couldn’t cast another child because they were too scared. WK: Was she still aware that it was you? AJ: Oh Vivienne? Vivienne doesn’t see a monster, all she sees is her mommy. It doesn’t matter what I’m wearing. She is like my little shadow. Always attached to me. I couldn’t scare her away even if I tried. In the scene I had to say ‘I don’t like children, go away!’, but Vivienne didn’t care! AJ: Exactly, we don’t go out to lavish parties, don’t do scandals. Brad and I we stay at home most of the time and we do our work and we play with our kids. We don’t live some kind of boldly extravagant lifestyle. I don’t know why all that interest continues. I suppose it’s all because we were very public people when we came together. We’ve been public for a long time and I think the world has just been very aware of every step of our family growing so they may be feel involved. WK: Maybe it’s the normality which attracts people even more? AJ: Maybe, which is a nice thing. We are a really strong family. If people are interested I think that aspect of our lives is actually quite ordinary. WK: Is it something that still comes easy after all these years? AJ: Yeah I think after all these years you have such history. If you have been with somebody for a long time, you have so many memories. We’ve built this family together and our children make us very happy and make us laugh every day. It’s not that we never fight… nobody’s perfect, we are not perfect either. But we work hard to keep close and involved in each other’s work and we work had to be good parents together. WK: What I admire is that you used the Maleficent promo campaign for a good cause, to raise money for charity and organised a dinner at Kensington Palace! AJ: I think it’s not healthy to live your life when you are not of any use to anybody else. You’re just living for yourself. You may not know why but you will live a miserable life. It’s not a good way to be, it doesn’t feel right. Real happiness is to make your children happy and to have a life of meaning. I think that’s what brings purpose, brings real happiness and understanding. I mean, what do you want to spend your days doing? WK: I also have a lot of respect for you for being vocal and public after undergoing a double-mastectomy last year. I lost my mother to cancer and know what it feels like and the impact that could have on family. Did that increase the amount of women getting screened around the world? AJ: I did hear that more people were getting tested and more women were being pro-active. That made me so happy. You know my fear is still there… I’m so sorry for what happened to you, but even though it’s something terrible for both of us, its nice to be able to connect to the other person. We might not know each other very well, but to be able to speak like this, is one of the nicest things that has come out of it. AJ: Let’s hope so. However my fear is still here with me. WK: What do you mean by that? AJ: I still haven’t done the ovarian surgery yet. WK: Are you seriously considering it? AJ: Yes, absolutely. I’m talking to doctors and would be ready for it soon. I feel like that would make that journey complete and let me live without fear and stay with my children and family as long as I should.